Uveitis, commonly called iritis, is inflammation of the part of the eye called the uvea, which is composed of three parts – the iris, the ciliary body and the choroid. The iris is the colored area that makes your eyes blue, green or brown. The ciliary body contains muscle and is located behind the iris. The choroid is a layer of blood vessels that line the back of the eye, located between the retina and the outer white eye wall, or sclera. Uveitis may occur due to eye trauma, surgery, infections, or in association with diseases affecting the general health including other organs, parts of the body or the eye. Severe and permanent visual loss can result from uveitis, and the condition can lead to other ocular complications, which may result in vision loss, such as glaucoma, cataracts, or retinal damage. 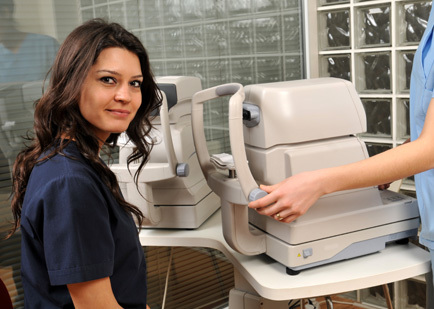 Early detection and treatment can reduce the risk of permanent vision loss. Symptoms may include redness, sensitivity to light, “floaters,” blurred vision and pain. Treatment may include the use of different medications. Uveitis occurs in one eye or both and may spread to other parts of the eye. Eye Consultants of Syracuse has trained physicians who specialize in diagnosing, managing and surgically treating all types of ocular inflammation in both the anterior and posterior segments of the eye. These surgeons have years of experience and have developed one of the most comprehensive treatment programs in Central New York. If you or a family member has uveitis, the specialists at Eye Consultants of Syracuse can help. Click here for more information on uveitis.